Since turning his back on trad rock in 2008, Paul Weller continues to add a fresh sound to his palette with the release of his new album Saturns Pattern. Often referred to as The Modfather, Paul Weller is an English singer-songwriter best known for his work with punk rock/mod band The Jam and pop jazz-soul group The Style Council. In 1991, Weller established himself as a successful solo artist, receiving widespread critical recognition for his work a as a singer, lyricist and guitarist. The artist has a host of awards to his name including the Ivor Novello Lifetime Achievement award and a Brit Award for Outstanding Contribution to Music. 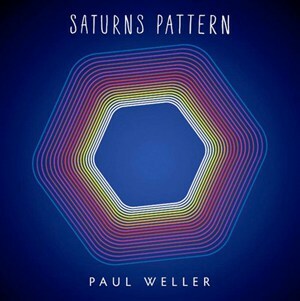 Saturns Pattern is Weller’s 12th album as a solo artist and features nine new studio tracks. Fans of the punk/rock style of The Jam or the tightly tailored style of The Style Council will be in for a shock with the new album. 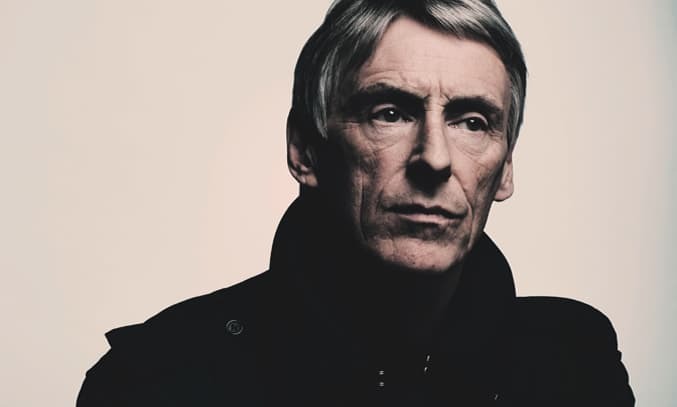 Weller’s style has grown increasingly eclectic over the past few years and Saturns Pattern follows on from the psychedelic folk of Weller’s 2008 album 22 Dreams rather than his earlier work. The album opens with White Sky, a fiery rock track with stomping drums, electricity-drenched guitar riffs and shouty vocals, before moving into the title track Saturns Pattern, an upbeat soulful psychedelic rock track with catchy lyrics. The tempo slows for Going My Way, a catchy pop ballad with a soft piano accompaniment and Beach Boys style harmonies before picking back up for Long Time, a menacing rock number with a killer guitar solo. The fabulous Pick It Up is well worth a listen with its funky riffs, prog organ and Bowie-esque vocals, as is the ethereal anthem I’m Where I Should Be which boasts a Damon Albarn style melancholy. Weller’s new eclectic, hippy style is most apparent in Phoenix, a hazy sunshine-pop track with jazzy keyboards, cosmic guitars, driving bass and stomping drums. The best tracks on the album however are In The Car… an inspired blues-rock track about spending “summer nights driving around the M25” and the closing number These City Streets wherein the new and old Weller are reconciled. While Saturns Pattern sounds a lifetime away from punk mod rock style of The Jam and the trad rock style of Weller’s earlier solo material, the artist is certainly on electrifying form with Saturns Pattern. A top-class Paul Weller album full of fascinating, unpredictable songs.